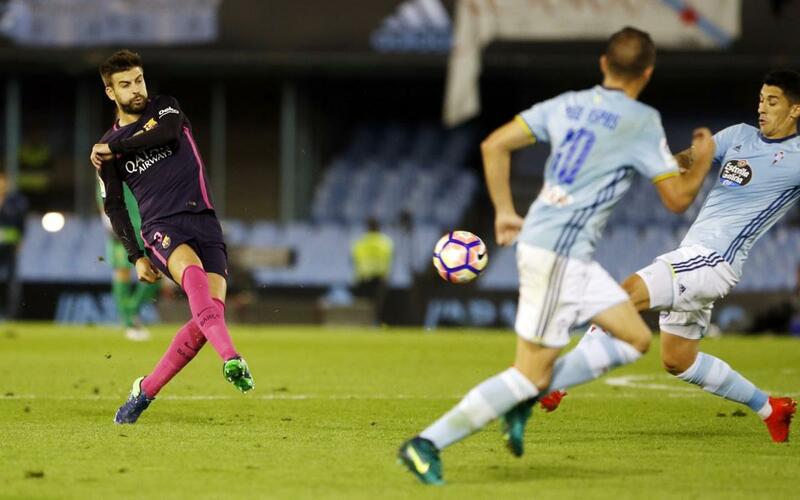 FC Barcelona missed the chance to go top of the league after suffering a 4-3 defeat at the hands of Celta Vigo at Balaidos on Sunday. The players, who gave it their all to comeback from three goals down to salvage a point, spoke to the media after the game to give their thoughts on where they felt the game was lost. The centre-back scored twice on the night, and so nearly scored a hat-trick to make it 4-4 at the end. “Celta’s first goal disrupted our flow and then, the other two (goals) came very quickly,” said Pique. On failing to capitalise on Real Madrid’s draw, Pique said that the league is “very equal and all teams very close to each other. This shows the high level of competition”. On reaching 600 games with the club, Iniesta said: “It is a bitter-sweet feeling with the defeat, 600 games with a win would have tasted much better. I have been here many years feeling good, participating and I hope I can do so many times more”. Luis Enrique also spoke to the press after the game where, although visibly disappointed, spoke about what the team needs to do next rather than dwelling on the defeat.